Here's the first makeup look of the new year! This Wet n Wild lipstick was a little bit scary when I first put it on but after I got used to it I was absolutely loving it! Since the color is so daring, I wanted to keep the rest of my makeup very light. Something I would definitely wear again. 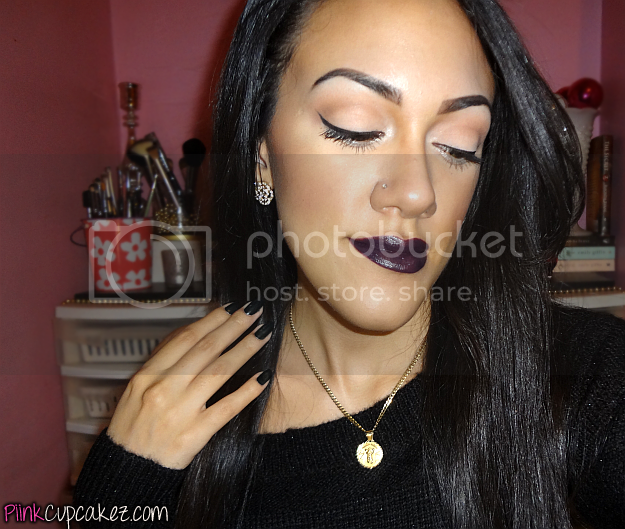 Milani blush in "Sweet Rose"
Wet n Wild Megalast lipstick "Vamp It Up"
1. 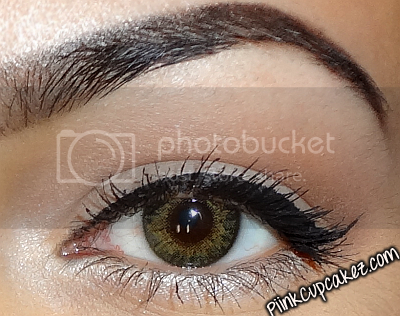 Apply a light matte neutral eyeshadow to the entire lid. - Ulta "Bone"
2. Sweep a matte light brown from crease to under brow bone. - I actually used a blush for this. NYX blush in "Nutmeg"
3. 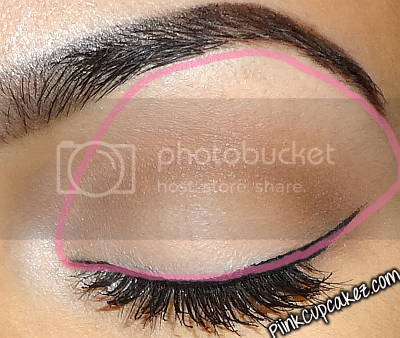 To add more depth, add a dark brown into the crease. 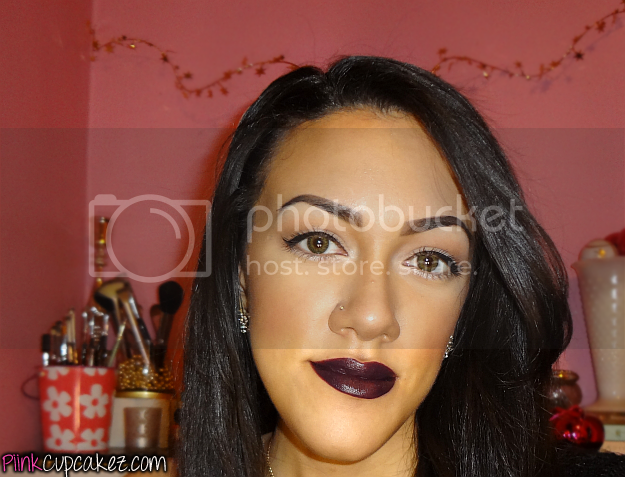 NYX "Dark Brown"
4. Apply a light shimmery shadow in the tear duct and lower lashline. - Ulta "Stardust"
5. Line your eyes, apply your mascara, and you're all done. :) - L'Oreal Infallible Gel Eyeliner "Blackest Black", Maybelline Colossal mascara in "Glam Black"
What are your thoughts on vampy lips? Yesss, I'm loving dark colors too! Thank you! I just discovered Wet N Wild lipsticks. Not sure how I lasted so long without them. I love their pigmentation. Love the natural eye and bold lip! Thanks!! I know I love them and they're so cheap! I love your make-up and lippy!